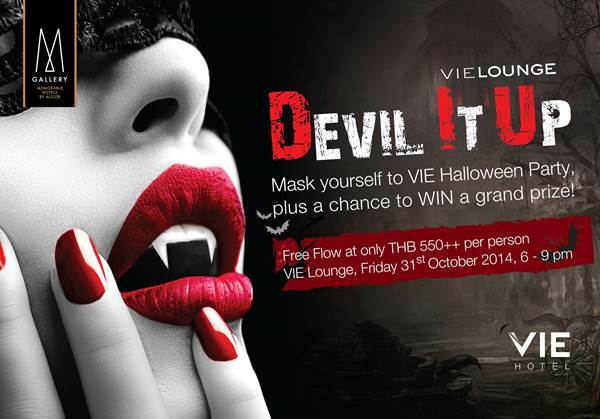 Put on your most alluring mask and devil it up this Halloween for a masquerade evening with “all you can eat and drink” indulgence awaiting you at VIE Lounge. Enjoy an enchanting free flow array including fine red & white wines, varieties of beer and whisky, as well as special Halloween cocktail creations, and a great assortment of tasty and savoury tapas, the “VIE Delights” - to cool tunes and sultry music!! Mask yourself to the party for a chance to win a prize for the best and most elegant! !